Integrated Multi-Trophic Aquaculture (IMTA) systems combine fed aquaculture such as finfish or shrimp with extractive organic matter of shellfish and extractive inorganic aquaculture of seaweed. IMTA is a flexible system which aims to reproduce an ecosystem system on a smaller scale, and can be executed in open water or land based systems. IMTA should take into account a mix of species based on the desired ecosystem effects and the economic viability of each species. The secondary cash crops also provide economic diversification and reduce economic risk. Aquaculture operations are under pressure to improve the economic and ecological components of their businesses. Consumer perception of aquaculture as a sustainable food is essential to develop the industry. IMTA offers aquaculture operations an opportunity to market their products as environmentally friendly whilst improving the bottom line. How can Longline Environment help with IMTA? IMTA implemented in the correct way can help to make aquaculture sustainable. Aquaculture farms considering implementing an IMTA setup can benefit from applying our aquaculture models to determine production aspects, water quality changes as well as other environmental and operational benefits. 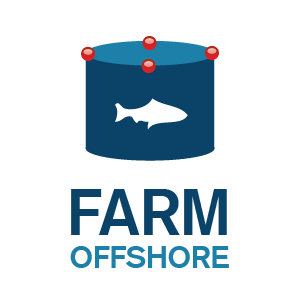 We can simulate the effects using various setups for offshore and onshore aquaculture farms. In Asia ponds often use an IMTA setup, with the cultivation of more than one species side by side. When bivalve shellfish are cultivated in this type of Integrated Multi-Trophic Aquaculture (IMTA) system, they are able to use waste matter from the shrimp culture, both from excess feed and from shrimp metabolism. This organic detritus, together with chlorophyll a (Chl a) forms the natural food supply which is filtered and eaten by shellfish such as razor clams. The shellfish reduce eutrophication symptoms in the pond, helping to promote higher dissolved oxygen levels, which in turn reduces shrimp mortality. If you would like to know more about IMTA and how it can help your aquaculture operations talk to us.